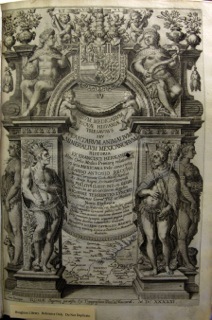 This paper reexamines the complicated fate of Francisco Hernández’s natural historical manuscripts, the chief fruit of his research in Mexico during the 1570s, in the hands of the Roman Accademia dei Lincei. At once a discerning translator of Pliny’s Historia naturalis and an avid cataloger of thousands of species of flora and fauna unknown to the ancients, Hernández effectively precipitates an encyclopedic enterprise that eventually results in the 1651 Rerum medicarum Novae Hispaniae thesaurus, a thousand-page, heavily-illustrated volume in which the Linceans dilate and condense what they see through their own and Hernández's eyes. Tellingly, this Tesoro mexicano is enthusiastically supported by Galileo, who gives a microscope to its chief backer, Francesco Cesi, who uses it to refine both his theory and his observations. Work on the Tesoro also surprisingly informs an Italian translation, by one of Cesi’s collaborators, of the satirical poet, Persius. More generally, though, the Tesoro not only would complete the “circle of learning,” but, crowned by Cesi’s "phytosophical tables" it offers a diagrammatic and thus synoptic solution to the problem of how to give order to the infinity of particulars. Straddling old and new worlds, Cesi and company try, I argue, to reconcile the many with the one. Christopher D. Johnson is currently Visiting Associate Professor at the department Spanish and Portuguese, UCLA. He is the author of Hyperboles: The Rhetoric of Excess in Baroque Literature and Thought (Harvard, 2010); Memory, Metaphor, and Aby Warburg's Atlas of Images (Cornell UP, 2012); and a translation of Francisco de Quevedo's poetry (Chicago UP, 2009). Sponsored by: the Department of Spanish and Portuguese, the Comparative Literature program, the Latin American and Iberian Studies program, the Early Modern Center and the Material Text Seminar.